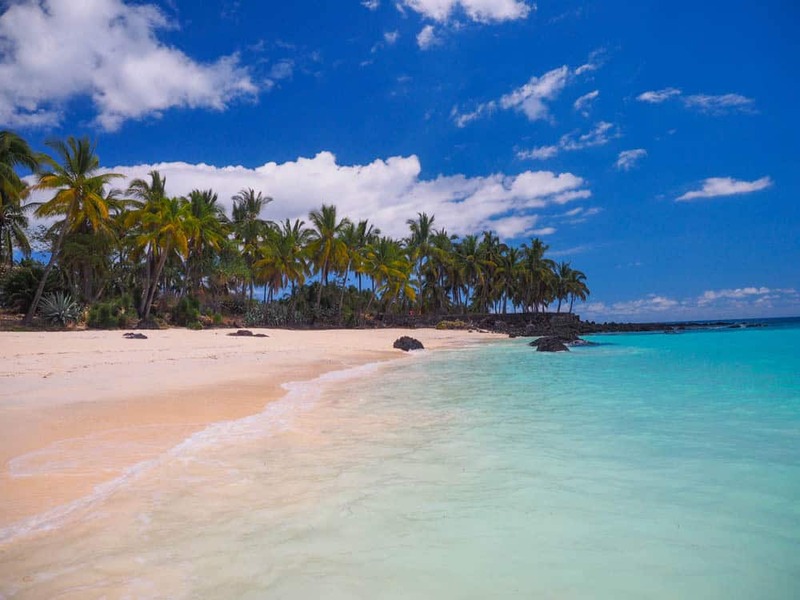 The island of Grande Comore (Ngazidja) is the largest of the three islands that make up the tiny country of Comoros in the Indian Ocean, East Africa just west of Madagascar. 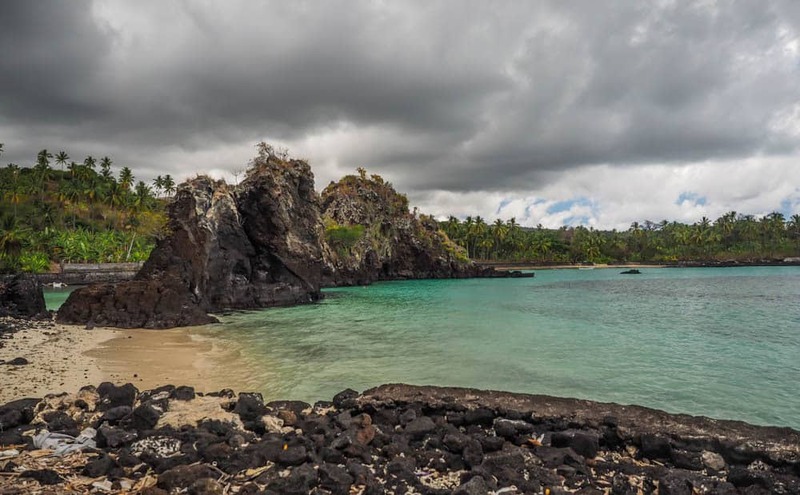 The two other islands that makeup Comoros are Moheli famous for diving and Anjouan. Mitsamiouli Beach no other people around here. 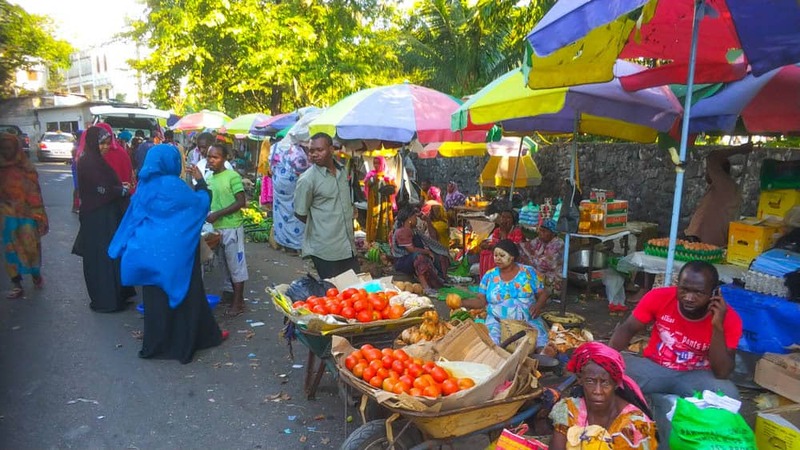 Moroni the capital and by far the biggest city (population 56 000) in Comoros is most likely gone be the place you will arrive in Comoros; it’s here that the Prince Said Ibrahim International Airport is located. 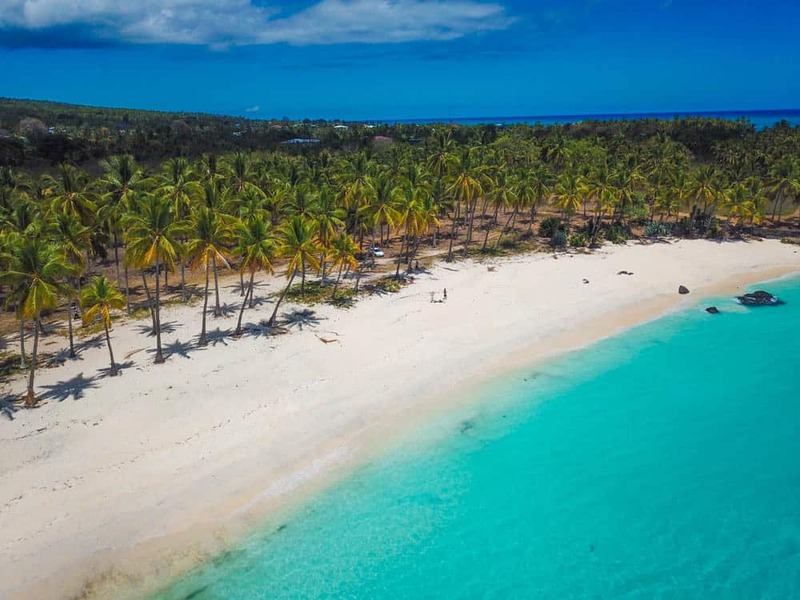 Both Anjouan and Moheli have their own airports, Ouani Airport on Anjouan have flights to Mayotte and Madagascar and Mohéli, Bandar Es Eslam Airport has flights to Mayotte. So will all other international flights arrive here on Grande Comore, like the flights from Kenya, Tanzania, Ethiopia, Turkey, Mauritius, Reunion and Madagascar all arrive here. The best connections from Europe are with Turkish Airlines, Kenya Airways and Etiophia Airlines. 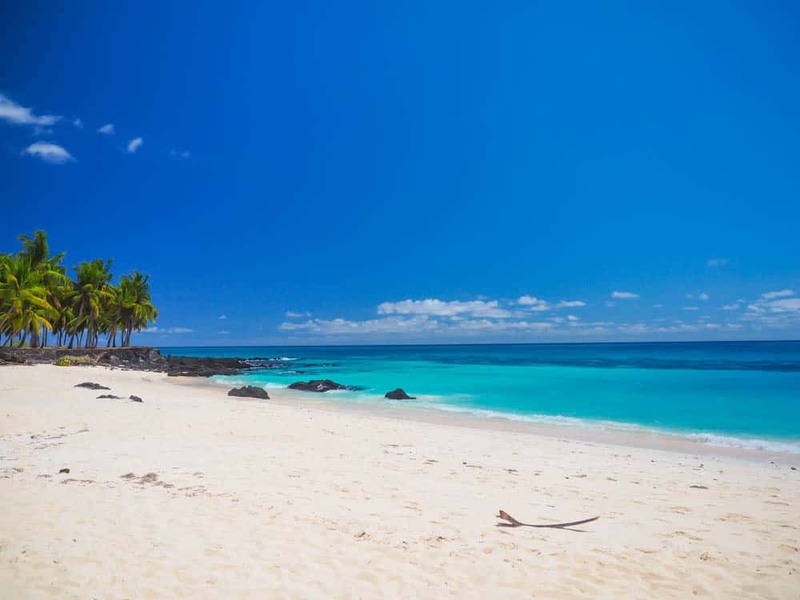 One of the fantastic beaches on Grande Comore, the Mitsamiouli Beach. 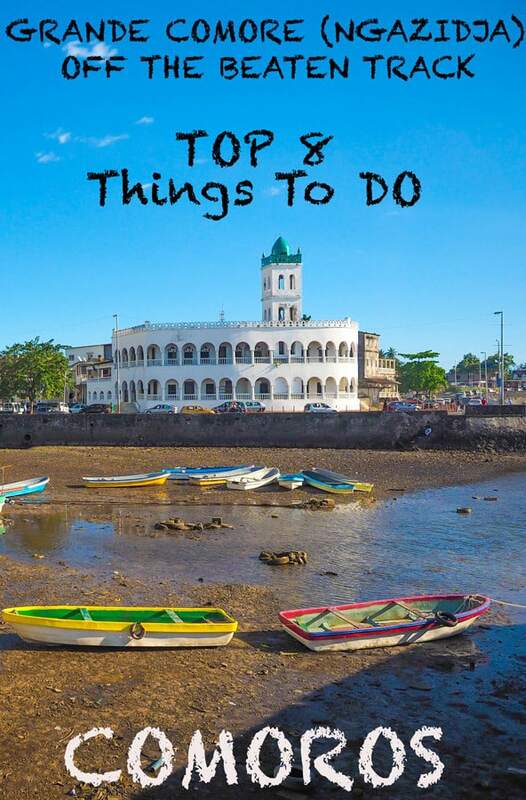 Top 8 Things To Do In Grande Comore (Ngazidja). Despite Grande Comore (Ngazidja) small size, so is it enough things to do here keep you busy here for a few days. Just be in mind that local transportation is extremely limited so your best off with hiring a car with a local driver for around 70 Euro a day to explore the island. 1. Explore Moroni The Capital. Moroni is a mix of Arabic, French and Swahili culture and history. 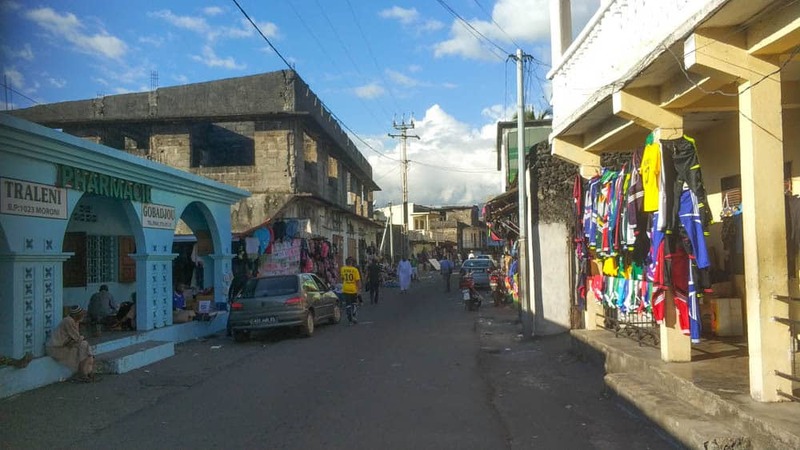 The historic town centre, the Medina around the main Mosque, the old neighbourhoods are a maze of narrow alleys and ancient buildings of Swahili period but, is unfortunately so are most (all) of Morini poorly maintained. While it´s interesting to walk around Morini so is the city itself very small and compact, so you don’t need much time here, the main highlights are the Vola Vola Market, that runs from behind the Nouvelle Mosquee de Vendredi Mosque and up to the main square with the post office. The main Square with banks and post office. This is the only place with ATM in Moroni, the only restaurant with free WIFI is also here. 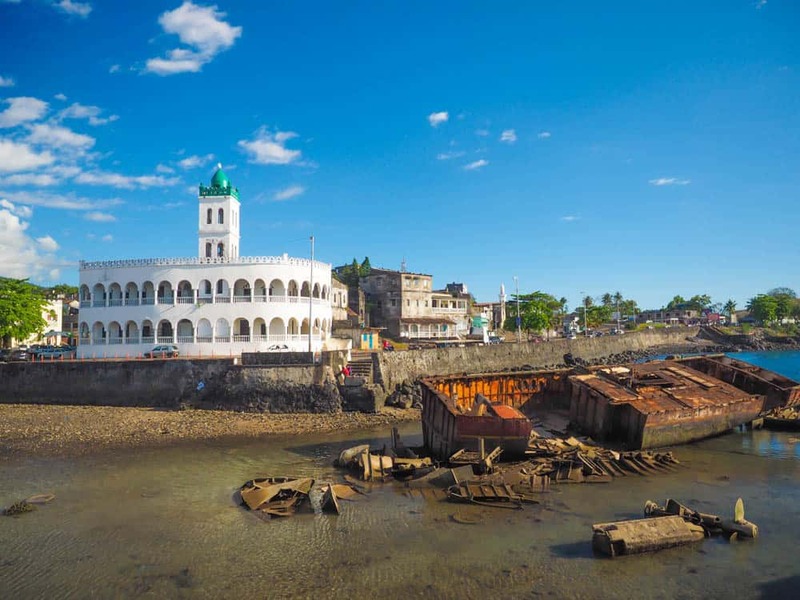 The Nouvelle Mosquee de Vendredi Mosque dating back to around 1427 is the most famous landmark in Comoros, and worth a stop. The Nouvelle Mosquee de Vendredi Mosque with an old shipwreck in front. 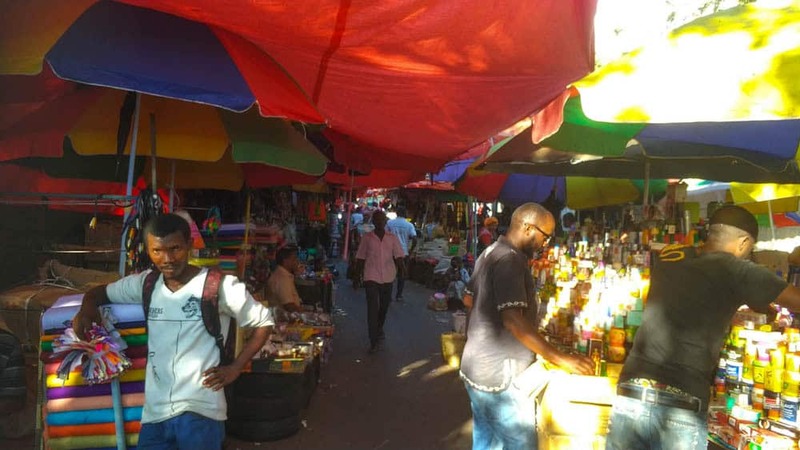 Here at the market can you buy everything from local handcraft (not many stalls) to locally grown spices, coconut products, essential oils (65% of the world’s perfume essences come from Comoros, including ylang-ylang, orange and jasmine) and random Chinese knick-knacks. Locals warned me of pickpockets is common here at the market! Locals selling vegetables at Vola Vola market. Central Moroni is traditional and conservative. 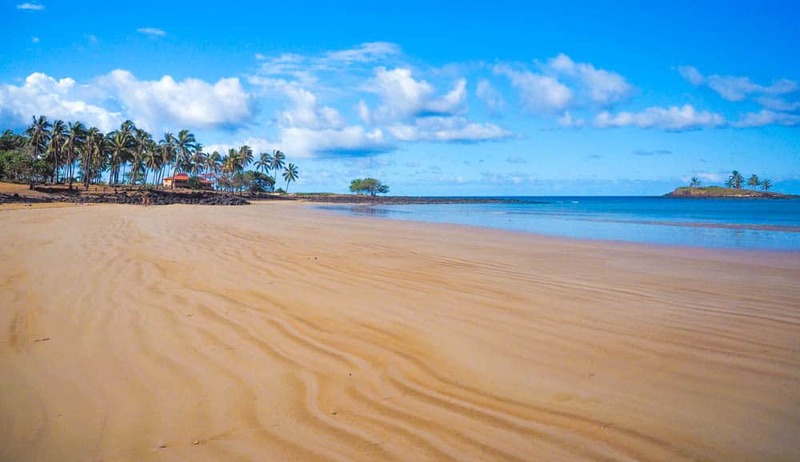 But only about 20min walk from the centre is one of the local beaches; here you can go swimming, sunbathing and have a glass of beer or wine in one of 3 restaurants allowed to sell alcohol on Morni. Moroni beach, the restaurant is one of very few where you can buy alcohol. One of few foreign-run restaurants in Comoros, this is also one of few places you can buy alcohol. 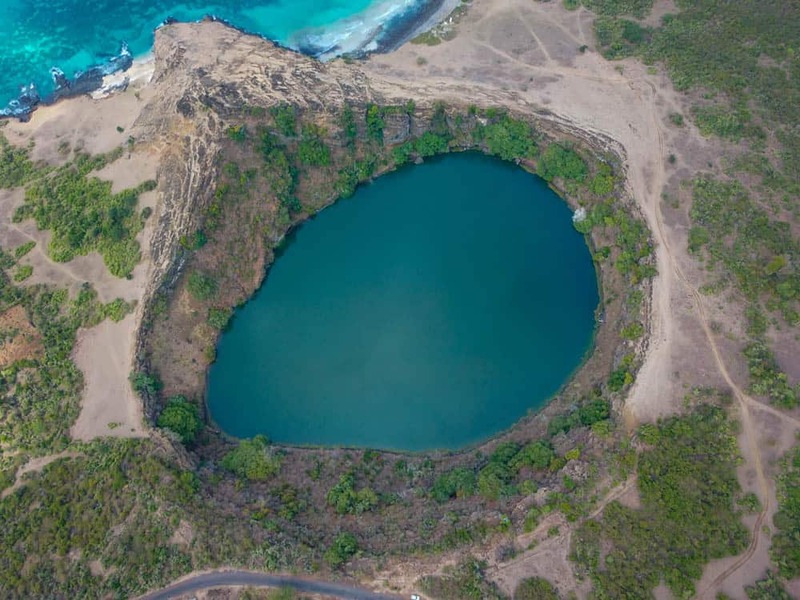 In the far northern part of the country is the small crater lake “Lac Salé”, the local tells a story that the lake is bottomless, and some years ago two professional divers tried to explore the lake but never came back to the surface, It´s a sacred place for the locals. There´s a small hill behind the lake you can climb to get a panoramic view of the lake; this is also one of the very few places that locals have a small stall where they sell souvenirs. The Lac Salé from my Drone. Lac Salé from above taken with my Drone. 3. Relax At L’île aux Tortues and Ndroudé. 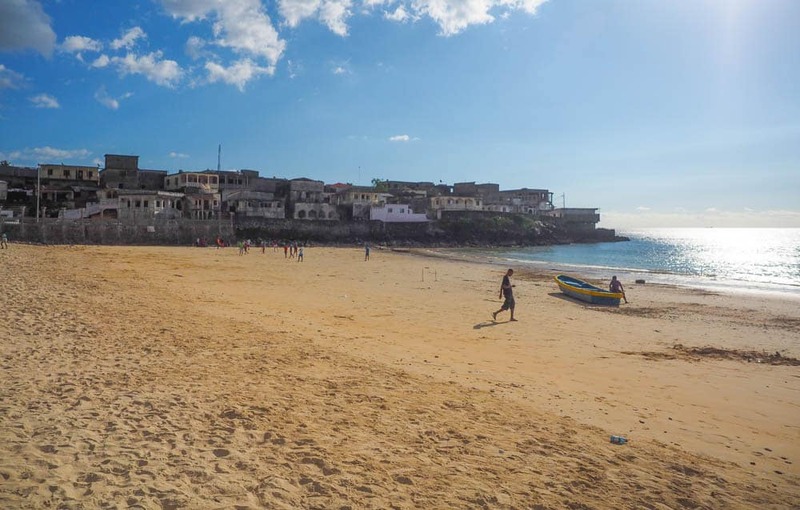 The whole western side of Grande Comore (Ngazidja) is full of beaches, Ndroudé might not be the prettiest but what it lacks in beauty, does it compensate with being and longest and widest one, the road down here is bumpy when it´s well worth it when you reach it. There´s a small island just of the beach called Turtle Island, not from being full of turtles but more the look of the island. This was surprisingly the place I saw the most other foreign tourists during my whole trip to Comoros. Ndroudé beach with Turtle island of to the right. 4. Relax At Itsandra Hotel. The view from the Sundeck, the small huts are some of the bungalows you can stay in. If you need WIFI is this best place to come and to enjoy a cold beer a cold imported Madagascar beer at the sundeck while watching a fantastic sunset. 5. Hangout At Trou du Prophète. 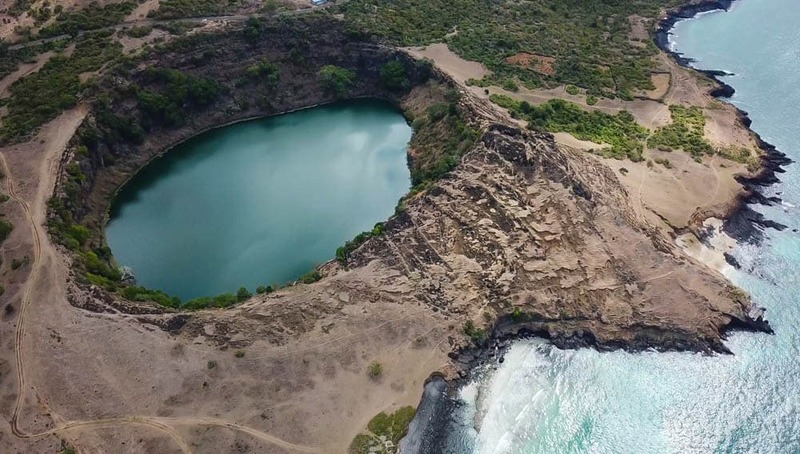 On the northern tip of Grand Comore (Ngazidja) is a small place called Trou du Prophète, meaning the hole of the Prophet, in French, locals will tell you that Prophet Mohamed landed here and sat between the two big rocks on the shore. The place used to be a favourite place for sailors to anchor up in the protected bay during the french area, it´s easy to see the remains from that area with most of the guesthouses being abandoned except one place that´s still up an running, the Baobab Magic – Backpacker. Waiting for lunch at Baobab Magic – Backpacker. Which seems to be only placed tourist will stay on Grand Comore outside of Moroni. Relax here under a massive baobab tree, the same kind as the famous one on the Avenue of Baobabs in neighbouring Madagascar. 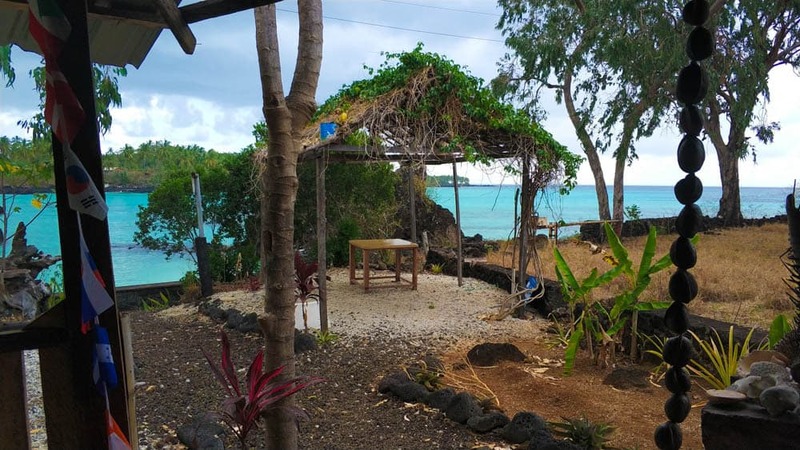 The small restaurant on Baobab Magic Backpacker offers freshly bbq fish, a perfect spot for lunch. Trou du Prophete is the perfect place to stay for a few days if you get some spare days on Grand Comore (Ngazidja), you can either pitch your tent or hammock here or stay in one of their rooms. Mitsamiouli Beach, a real world class beach, definitely one on the top 10 in all of Africa, this beach doesn’t stand back for any beach I’ve been to in the Maldives or in French Polynesia. 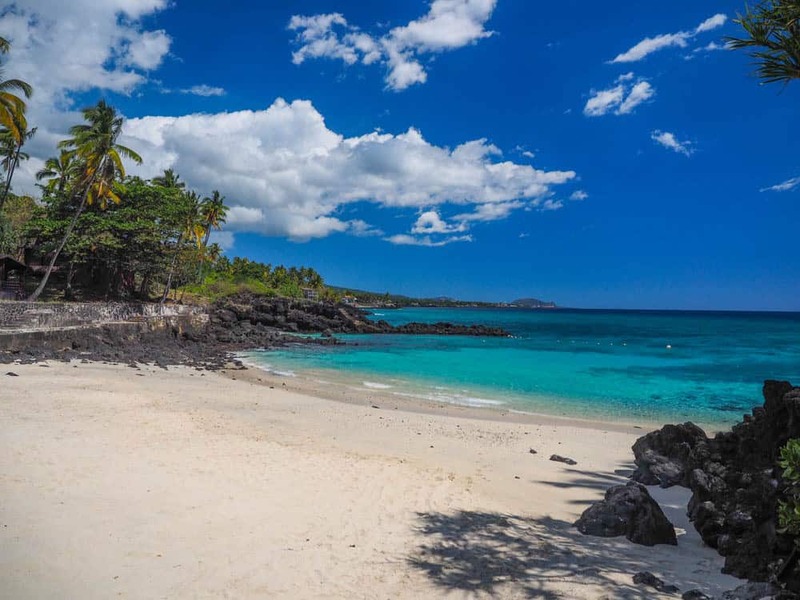 If this beach would have been located anywhere else would there have been big hotels and restaurants along the beach, but this is Comoros, so here´s nothing and you get the beach entirely to yourself. Paradise beach with no hotels around. 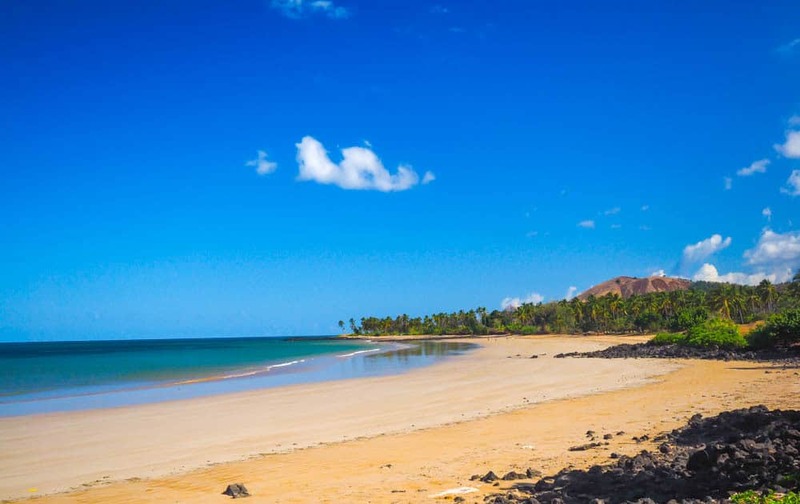 Iconi just south of Moroni was once the capital of the Sultanate of Bambao, and the first capital of Comoros. Was an important trading post all the way back to 12th century, there are still some old buildings with beautiful woodcarvings, remnants of old palaces and fortifications. The old palace is currently being restored, and the tomb of Prince Said Ibrahim, The last Sultan of Great Comoros, is also located here. In the early 19th century when pirates from neighbouring Madagascar roamed the seas around East Africa would the women from Grande Comore jump to their death from the cliffs around Iconi instead of being kidnapped by the pirates. 8. Climb Mount Karthala Volcano. The massive volcano takes up more than 60% of Grande Comore (Ngazidja) surface. A Hike to the top takes a full day. The hike starts off at 300m and goes through thick jungle, across a tundra-like landscape, and finally onto fields of black ash surrounding one of the biggest Volcanic craters in the world with a diameter of 3 x 4 km. It´s possible to do the hike as a day hike starting around 4 am in the morning with reaching the summit at 2,361 m (7,746 ft) just after sunrise. It´s also possible to do a longer 2day hike. A guide is required costing 100Euro a day. Additional Information about Grande Comore (Ngazidja). I only found 4 ATM´S at Grande Comore (Ngazidja), two located at the main square around the post office and one was inside Itsandra Hotel and one at arrival at the airport. I never found any official money exchangers around the city, but were one at the Itsandra hotel. Hotels also accepted payment in Euro and USD. You don´t have many options when it comes to hotel´s and guesthouses around Moroni; there are a few Airbnb options. Hotel Golden Tulip Grande Comore Moroni Resort & Spa (Former hotel Itsandra) click here for booking. This is your best option if you’re not on a budget. If your travelling on a budget, check what´s available on Airbnb. Getting around Moroni is easy, stop any shared taxi that roams the street, price around town 250CF, from the centre of Moroni to Hotel Golden Tulip expect to pay around 300CF or 400CF after dark. It never took more than 5min to get a shared taxi. A shared taxi from Moroni to other parts of the Island will cost you 500CF-1000CF. If you want to hire a car with driver, talk to your guesthouse/hotel. I’ve paid 70 Euro for a full day with an English speaking driver, while it´s a lot cheaper to take shared taxi´s around the Island, so is L’île aux Tortues and Ndroudé, Trou du Prophète and Mitsamiouli Beach all located off the main road. If wanting to take a “ferry” to Moheli or Anjouan will you have to head down to Chindini on the southern tip of Grande Comore, this is where all boats leave from (if good wheater). There are about four boats to Moheli a day, taking up to 2hours if the water is gentle. The price is 75 Euro Each way. A local flight is the same price but often cancelled. You will have to register your passport with the harbour police before leaving, and upon arrival at the next island. A “ferry” getting ready to depart from Grande Comoro to Moheli. Sunset with the flag of Comoros. 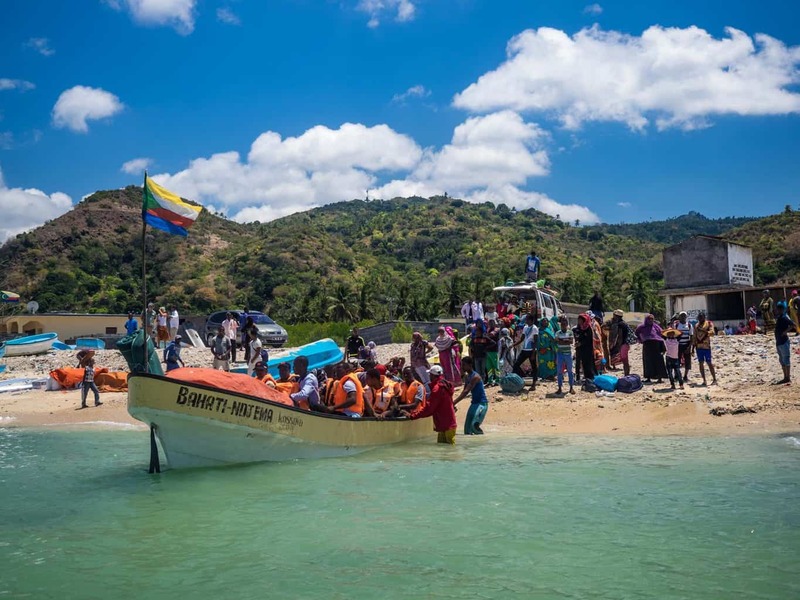 I really enjoyed my visit to Grande Comore (Ngazidja), it´s a real off the beaten track destination where you will not meet many other tourists, the local´s are friendly and welcoming. But the country lacks a tourism infrastructure. The Government Tourist information office close to the harbour is tinny with literally no information available. And there are no guidebooks available. There´s a big Indian community in Moroni that runs most of the better restaurants, supermarkets and guesthouses, it was also quite a lot of construction going on with Chinese workers, so expect to see a lot of Chinese tourists here in the future. Like It?! Share It! Pin It! 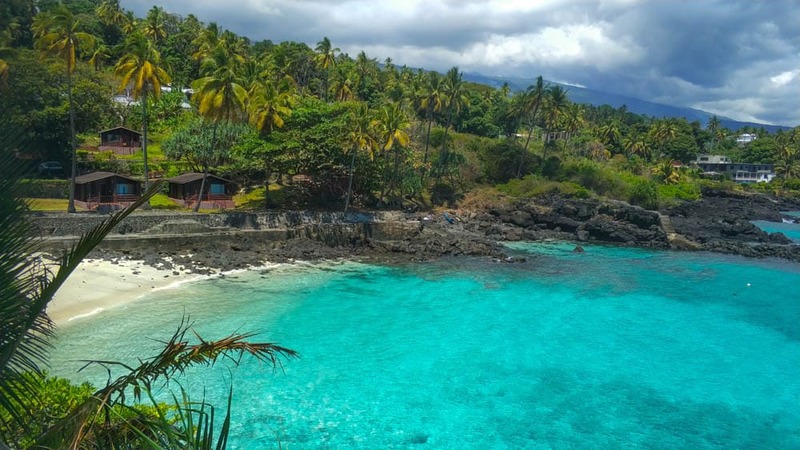 Visit GRANDE COMORE (NGAZIDJA) the biggest island in Comoros, East Africa. A real of the beaten track destination.